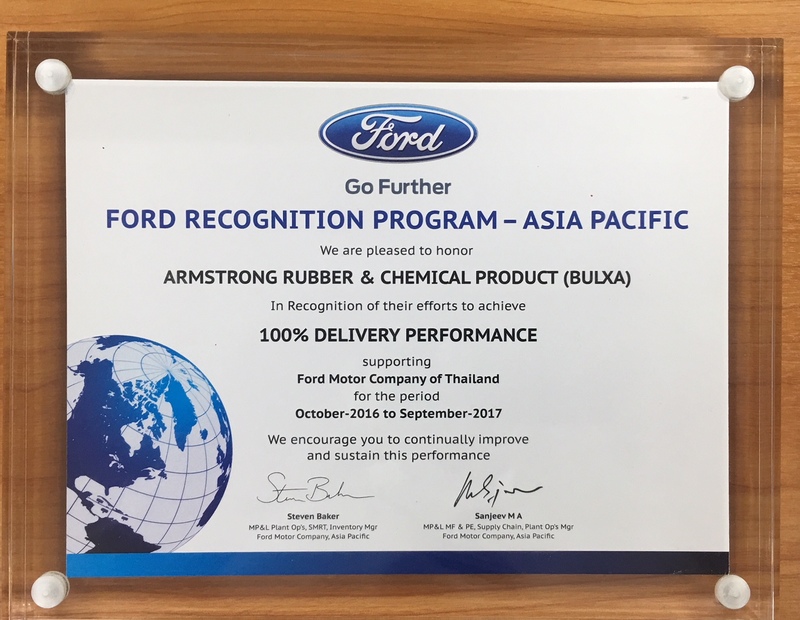 Armstrong Rubber & Chemical Products (ARC) — On the 13th of December, 2017, Armstrong Rubber & Chemical Products (a Thailand subsidiary of Armstrong Group) received the 100% Delivery Award at Ford’s 2017 Supplier Conference. The prestigious award is only given to suppliers who have upheld a 100% accuracy with their shipping schedules, while simultaneously maintaining a perfect rating. Armstrong is thrilled to be recognised for their commitment to their partners, and will only continue to work harder to ensure that perfect delivery performance remains a top priority.